A guide to the best baby and toddler friendly places to stay in Dorset. Read on to discover amazing cottages, holiday parks and hotels for babies and toddlers in Dorset. 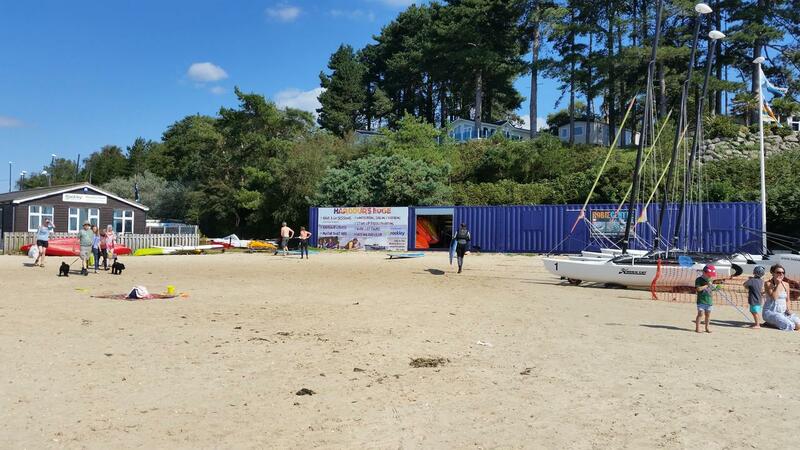 This relaxed holiday park is close to the sandy beaches of Bournemouth, as well as the New Forest (and Peppa Pig World!). Toddlers will love the indoor and outdoor swimming pools, as well as playing in the outdoor play area. There is also an indoor play area for rainy days and an amusement arcade. You won’t get bored at the Hoburne Park as there is lots of family friendly entertainment as well as an onsite Café if you don’t want to cook. There are a variety of 2 and 3 bedroom caravans for families to stay in. A great choice for families looking for a baby and toddler friendly place to stay in Dorset. 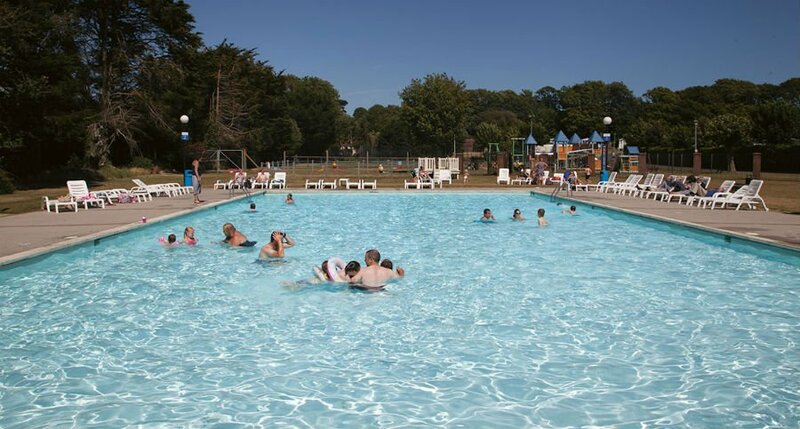 Sandhills is a small, popular holiday park overlooking the beach and Mudeford Quay in Dorset. Just a promenade separates the park from the beach, and it is also close to Bournemouth with its famous beach and gardens. Sandhills has a beautiful outdoor swimming pool, a paddling pool and an outdoor playground for little ones. Families can choose to stay in a variety of lodges, caravans and apartments. Lancombe is a collection of 6 stunning baby and toddler friendly cottages in Dorset. 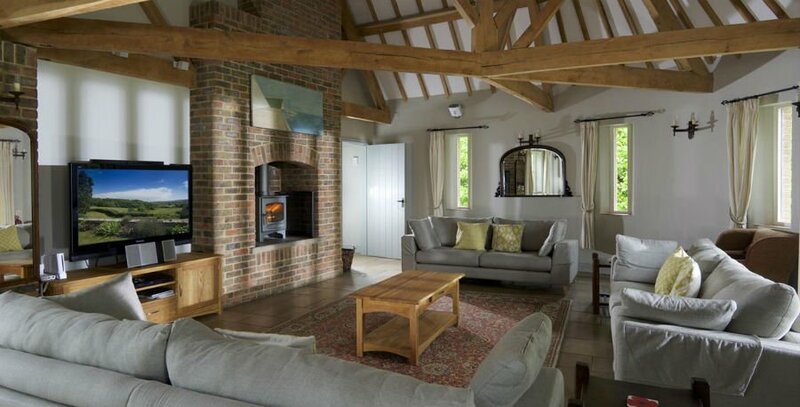 The cottages offer open plan living and bright living spaces with a lounge, well equipped kitchen and dining area. Each cottage also has a small patio area to relax on in an evening. Toddlers will love swimming in the warm indoor swimming pool, exploring the gardens and seeing if they can find the fairies in the woodland. There are also resident chickens to feed! Families can borrow a variety of baby and toddler equipment, so you don’t have to bring it all with you. 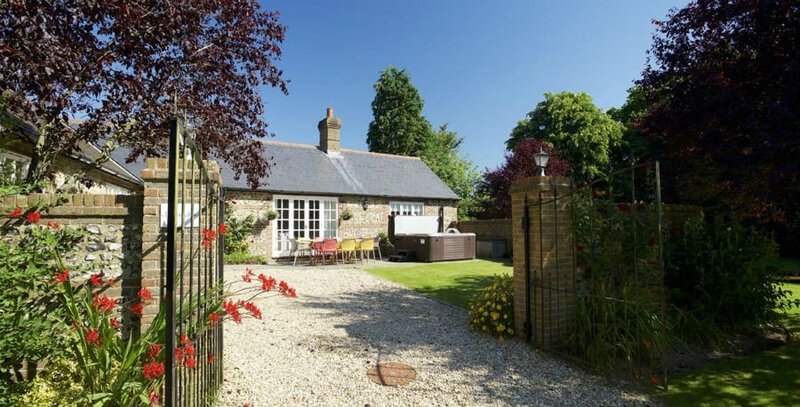 Greenwood Grange is a collection of 17 luxury baby and toddler friendly cottages in Dorset. 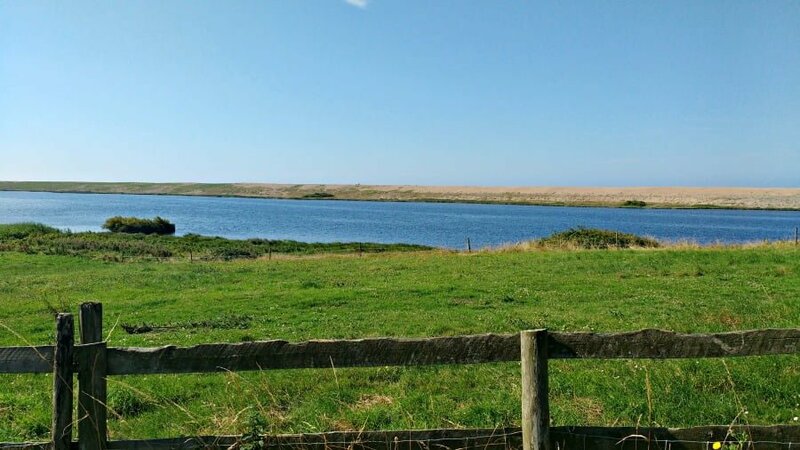 The cottages are a short drive from the seaside town of Weymouth, and have an indoor swimming pool and farm animals onsite. There is plenty of space to run around in outside as well as a full-size play yurt, toys and a football net. Toddlers can help with egg collecting duties as well as picking fruit and vegetables from the kitchen garden. 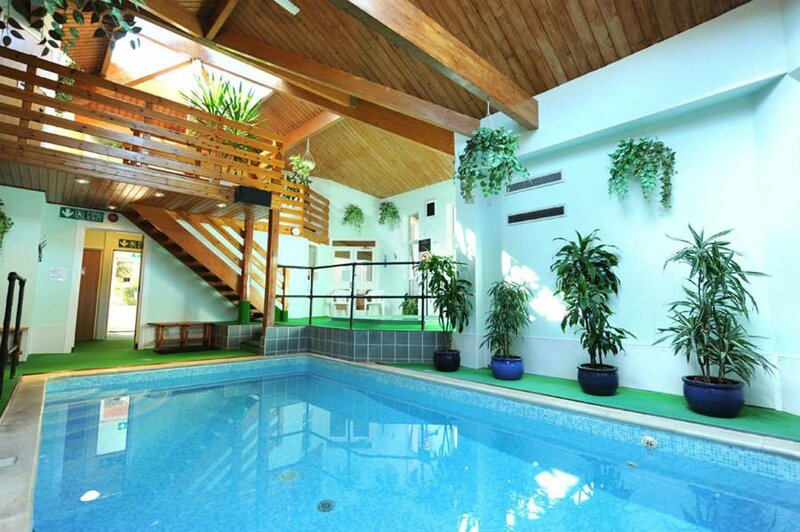 The indoor swimming pool is toasty and warm and can be accessed via a keypad so you can go anytime. High chairs, stair gates, baby baths, bed guards, night-lights, bath mats, changing mats, black out blinds, toddler steps, baby baths, waterproof mattress protectors, plastic cutlery and crockery are available to borrow. Thorncombe Woods is next door to the cottages and is great for a picnic or a bike ride. The Dinosaur Museum at Dorchester is a few minutes away, and the award-winning Farmer Palmer’s Farm Park which is aimed at 0-8 year olds is also close by. Rudge Farm Cottages are cozy cottages for babies and toddlers near the coast in Dorset. They have been converted from original farm buildings and are situated in 20 acres of peaceful Dorset countryside with views over the Bridge Valley. 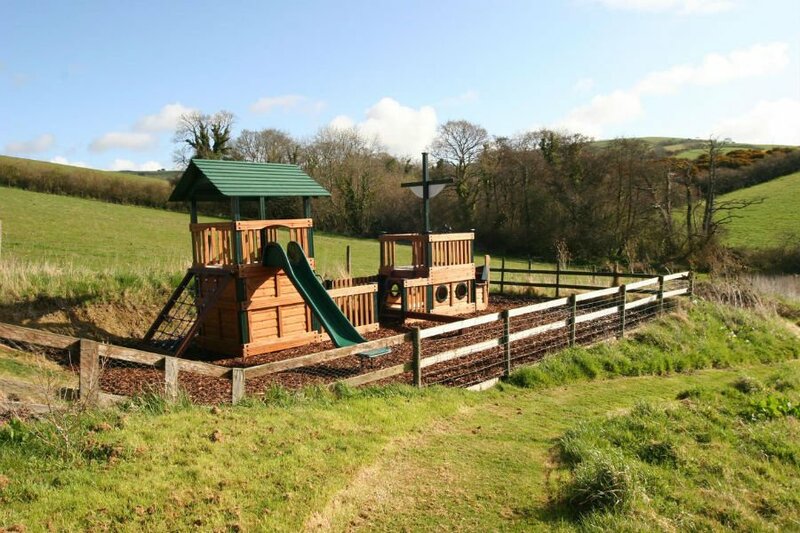 There are 10 cottages sleeping between 2 and 6 people, a Games Room and a fab outdoor playground. There is also a woodland walk around the cottage grounds. 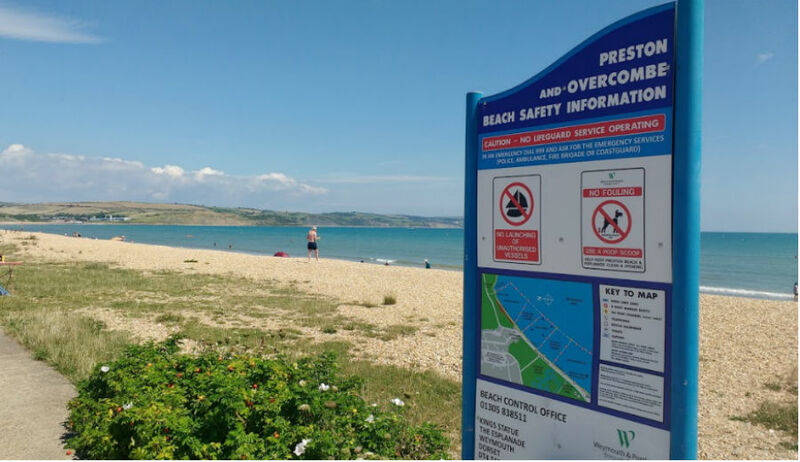 Lyme Regis and Weymouth beaches are within easy reach. 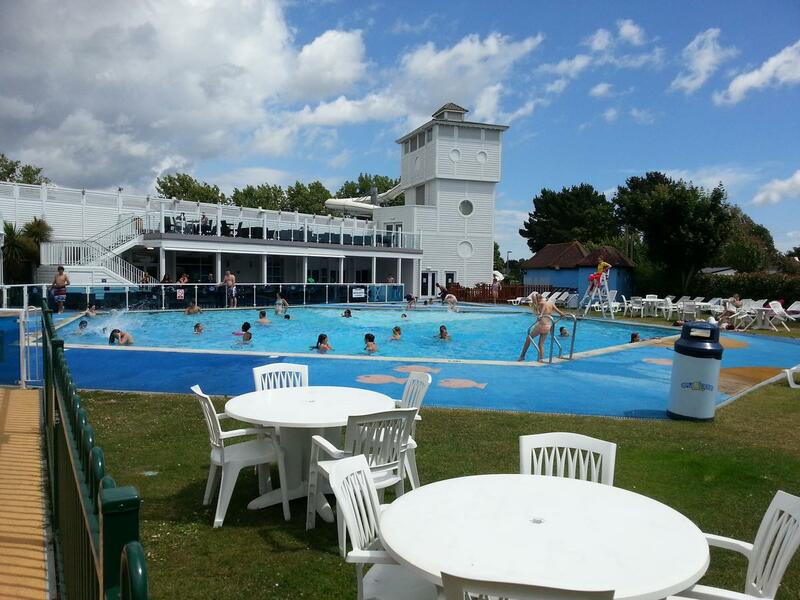 Rockley Park is a Haven holiday park which is located on the heathland of Ham Common nature reserve and next to the beach. As well as days at the beach, babies and toddlers can also take a dip in the park’s heated indoor and outdoor swimming pools, play in one of the 3 outdoor play areas or go exploring in the nature trail. The park also organises special activities for babies and toddlers including arts and craft, gym tots, football and learn to ride sessions. There is a variety of accommodation in caravans and lodges for all budgets. Don’t miss a trip to Poole Harbour and over to Brownsea Island where you can spot red squirrels! 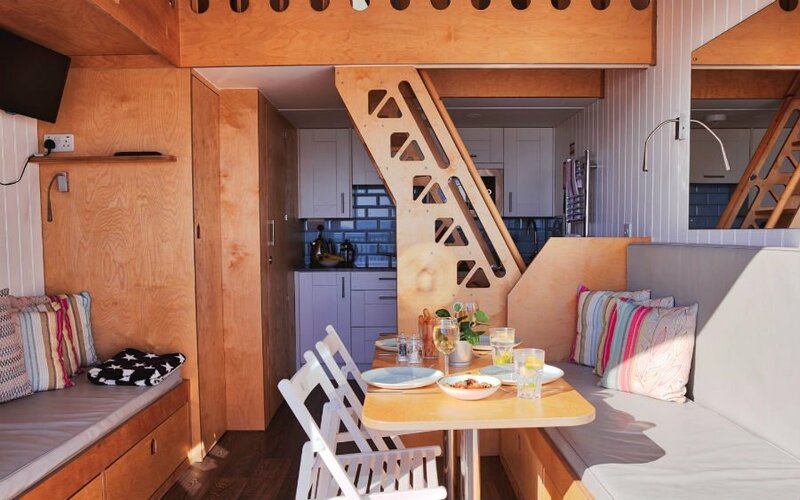 Bournemouth Beach Lodges are great for a short break by the beach! 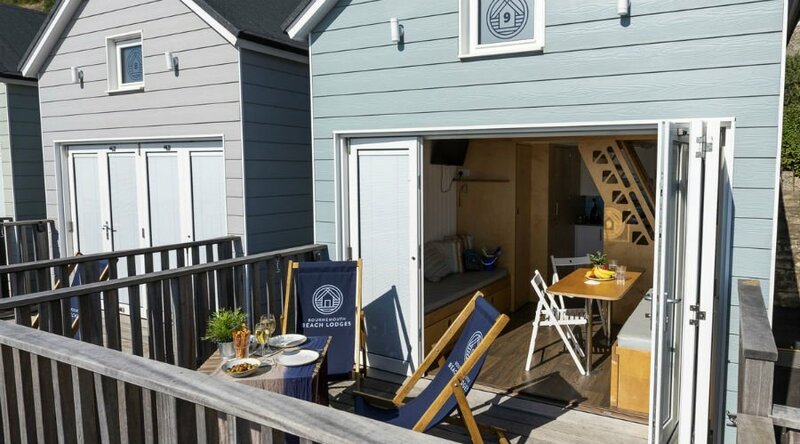 The stylish lodges are a few steps away from the soft sandy beach and offer ideal accommodation for up to 4 adults and 2 children. All the lodges have their own fully equipped kitchen, toilet, shower room and WIFI. The 2 sofas fold out into 1 double bed and 1 single bed (suitable for a child) and there is a mezzanine floor where the other double bed and another single bed is. After a day at the beach, you can fire up one of the electric hot plate bbqs in your beachside lodge and watch the sun set from your own private deck! 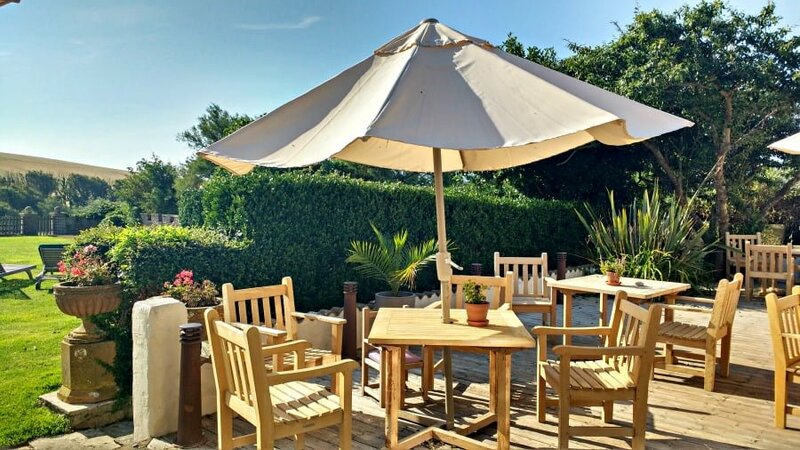 Knoll House Hotel is in an amazing location just a few minutes walk from Studland Bay with its white sands and calm waters. The National Trust manages Studland Beach, and organises plenty of activities during the summer months such a beach volley ball and kayaking. The Knoll House hotel has loads of great facilities for babies and toddlers including a playroom which is jam packed full of toys, tables and chairs for drawing and sofas where parents can relax. There is also an adventure playground with slides and a pirate ship as well as a heated outdoor swimming pool and paddling pool. 2 and 3 bedroom suites are available. 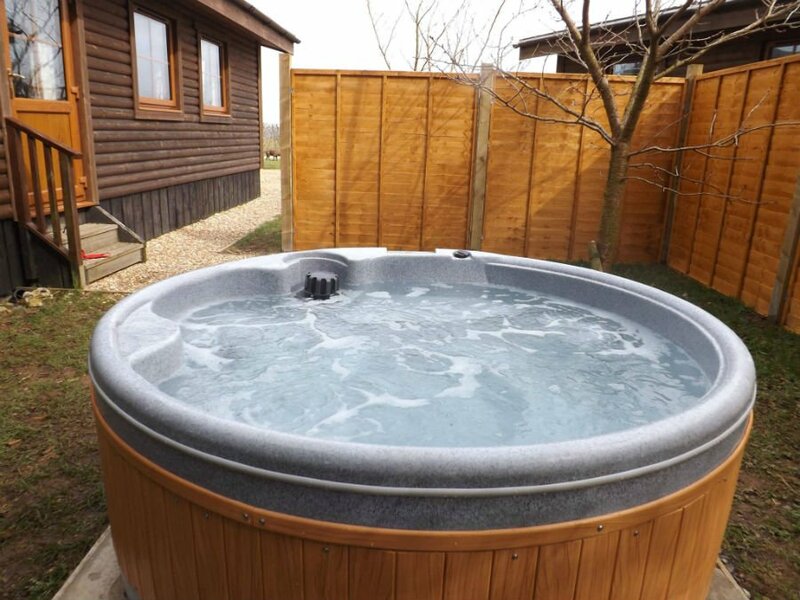 This family owned holiday park has a variety of luxury holiday homes and camping pods which have direct access to the South West coast path. 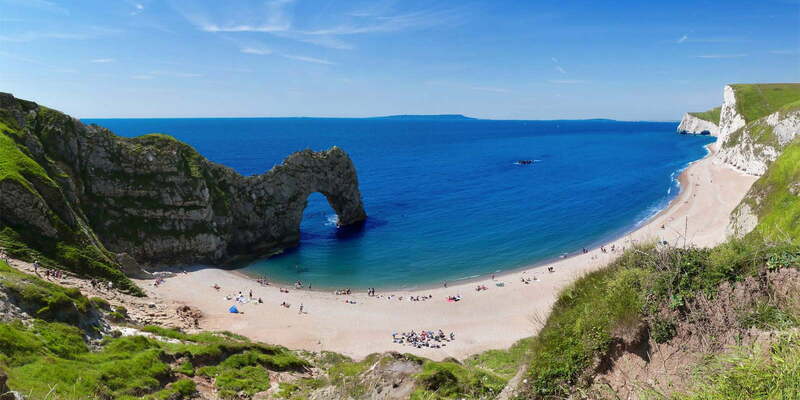 The park is close to Lulworth Cove, the famous Durdle Door and lots of unspoilt beaches, and is within easy reach of the resorts of Weymouth and Swanage. The luxury 2 and bed static caravans are modern and fully equipped – cots and high chairs can be hired. Camping pods are great for families who love the great outdoors. They sleep 4 and are dog friendly and come with picnic tables, beds, electric sockets, lights and a heater. Can you recommend any baby and toddler friendly places to stay in Dorset?